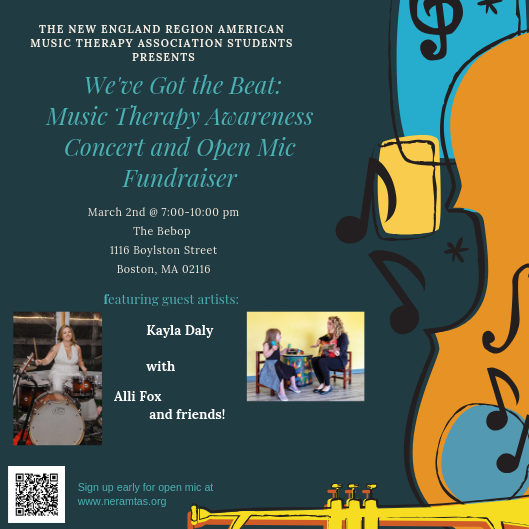 Funding is to provide scholarships for music therapy students in the New England Region. This will support students becoming student members in the professional organization, and to attend Regional and National Conferences. Cost: Suggested donation of $10.00+ at the door. 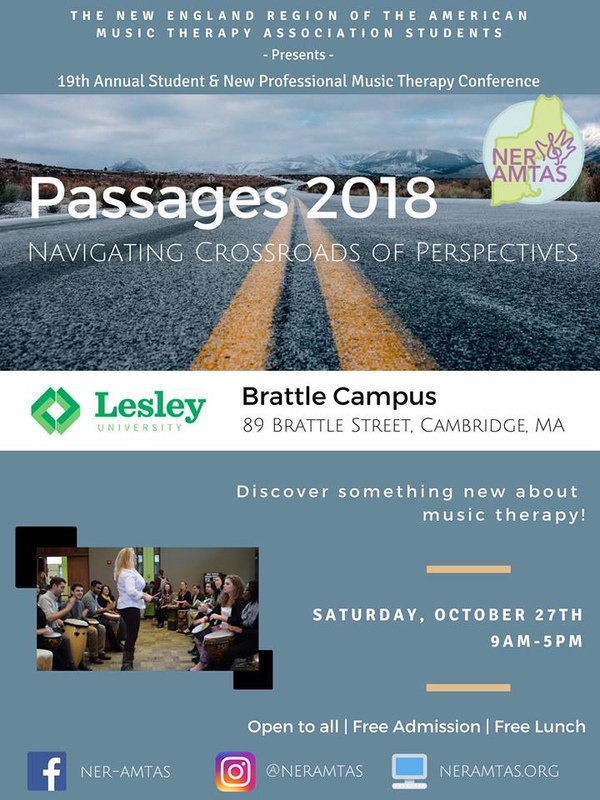 As defined by the AMTA, Music Therapy is the clinical and evidence-based use of music interventions to accomplish individualized goals within a therapeutic relationship by a credentialed professional who has completed an approved music therapy program. Seasons Hospice & Palliative Care is seeking Music Therapy Interns to join our team of professionals beginning in September 2016 or January 2017 semesters. At Seasons, we make a difference every day to patients and families coping with terminal illness while creating a center of excellence in hospice care. As a member of the hospice interdisciplinary team and under the direction of the Supervising Music Therapist, our Music Therapy Interns provide music therapy consultations and services to the patient and/or family in accordance with the interdisciplinary plan of care while following all hospice policies and procedures. Music Therapy Interns may also provide bereavement counseling to family members. Our Interns learn “the application of working in an established healthcare profession that uses music to address physical, emotional, cognitive, and social needs of individuals of all ages”, as defined by the American Music Therapy Association. v Have completed all undergraduate or equivalency coursework from an accredited music therapy programs. v Supply a letter from your academic director verifying your eligibility for the internship. v Have a minimum grade point average of 3.0 on a 4.0 scale (“B” average of better). v Have documented music therapy practicum experience. v Demonstrated commitment to Seasons Hospice’s philosophy for care, values, mission statement and organizational culture. Comprehensive hospice training and orientation is provided, as well as ongoing support and hospice education opportunities. 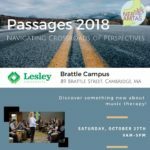 Should you have any questions, or need further information, please contact Karen Hale, Volunteer Manager or Taryn Thomas, Music Therapist at 203.490.1000 or visit www.seasons.org. Thank you so much for considering Seasons Hospice and Palliative Care for your students needs. We would be honored to speak to you about hospice care. The blessings and rewards of caring for patients and families during this time in life are innumerable. Karen A. Hale M Th.